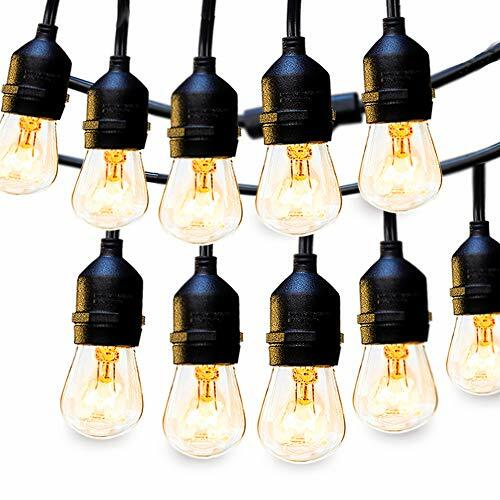 [IDEAL OUTDOOR LIGHTING] 96ft in total.Each strand contains 15 E26 based hanging sockets, provided with 11W S14 incandescent bulbs (included 2 extra bulbs). The distance between bulbs is approximately 3.85FT. This Heavy-duty light is bright enough and ideal illumination anywhere.